Did you know Heineken actually launched 3 separate but new products recently? Well I did not, at least not until I noticed the new Heineken CLUB bottle at the recent Heineken Thirst 2013. 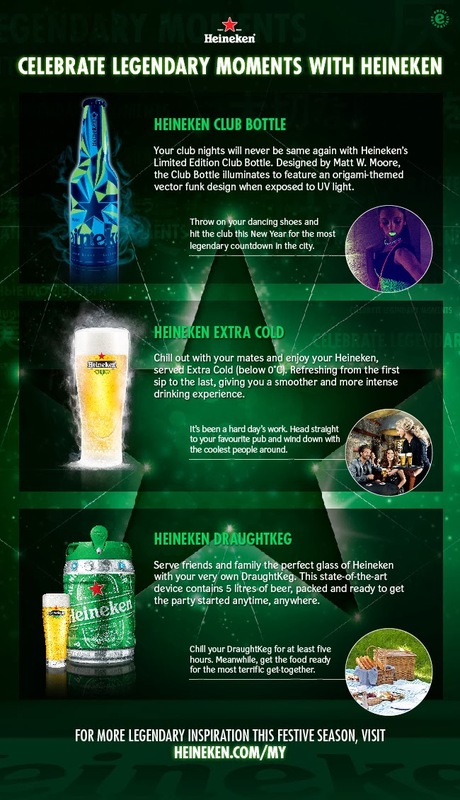 This post will serve as a short introduction to the Heineken CLUB bottle, the Heineken Draughtkeg and the Heineken Extra Cold which was introduced recently. Read on below. Launched recently at this year’s Milan Design Week, the bottle made a stylish debut here in Malaysia at Heineken Thirst, where it was available at the VIP area and Heinesuites, creating an immediate talking point among the thousands of exclusive guests captivated by its innovative design ethos. Designed by Matt W. Moore, the bottle features the designer’s inimitable vector-funk style and is influenced by the mesmerizing origami theme showcased during the Milan Design Week. 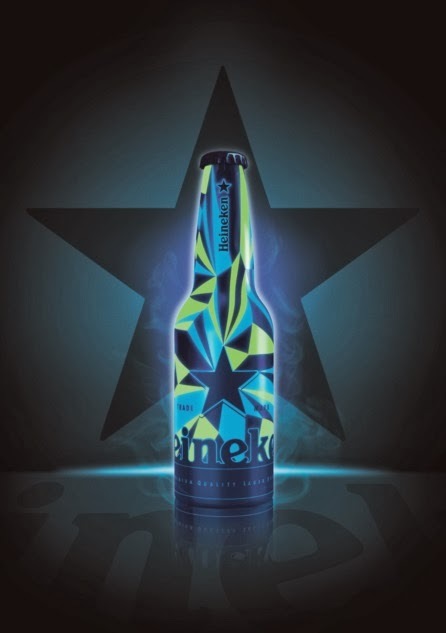 Under natural light in its understated beauty, the aluminium bottle bears a frosted geometric pattern and signature green star; as you enter the club, the dark indigo glow of the UV light unveils the magic of the bottle that comes to life as it illuminates into a fluorescent blue & green design. Designed for the night, the edgy Heineken CLUB Bottle and its progressive design philosophy is an inspiration for the ultimate in party luxury - the ultra-stylish accessory to complement your legendary moments with Heineken during the year end festivities. The Heineken CLUB Bottle is available for a limited time at selected premium clubs nationwide. The state-of-the-art DraughtKeg is a signature of Heineken’s innovation. 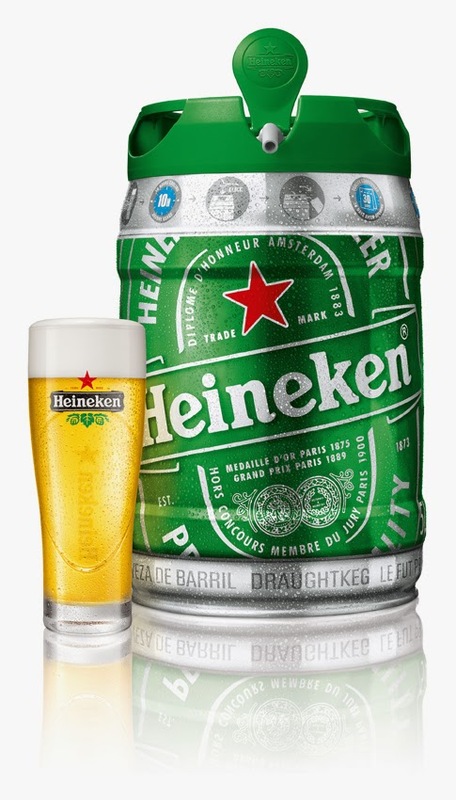 Containing 5 litres of Heineken beer that enables you to serve and enjoy fresh quality draught beer poured by yourself, the beer can be kept for 30 days after opening. Together with the DraughtKeg, Heineken is also introducing The Heineken Tap Challenge; the world’s first virtual draught experience where lovers of freshly tapped beer are now able to train themselves in the art of serving the perfect pint of beer. You can also purchase the DraughtKeg at selected premium supermarkets such as Cold Storage, Mercato, B.I.G., Village Grocer and TMC, and receive two exclusive Heineken Christmas glasses. 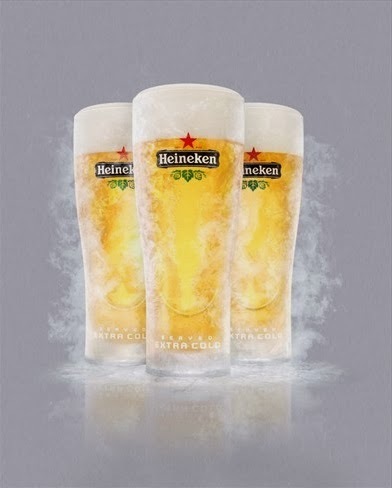 With Heineken Extra Cold, they are taking you to a refreshing, icy, new level. Chilled between 0°C – 3°C, Heineken Extra Cold is colder from the first sip to the last, giving you a smoother and more intense drinking experience. Just pop by a bar and ask for a refreshing pint of draught Heineken Extra Cold for when your night heats up and you’re in need of an even more invigorating brew. Heineken Extra Cold is available on draught at selected bars nationwide. To inspire the festivities, download the Heineken Legendary Celebration guide for fresh and innovative party ideas at Heineken’s website (www.heineken.com/my) or Facebook page (www.facebook.com/Heineken) today.